Whilst we were chatting, drinking tea, and conducting business the other day, my book conservator raised a question. She said that another bookseller had used the term “fly leaf” for what she regards as a free endpaper, explaining that in conservator terms the “free endpaper” was an extension of the paste-down endpaper. I said that yes, that was perfectly logical and that the term was often used, but that “free fly leaf” is also often used…front free fly leaf, second blank fly leaf, etc. However, it occurs to me that pamphlets (and modern paperback books) do NOT have a paste-down endpaper, in which case a “flyleaf” (for a blank initial or terminal page) would be more appropriate. Fly-Leaf: Strictly speaking, this term means a binder’s BLANK additional to, and following, the free front ENDPAPER. It is, however, often used of the free front endpaper itself. Fly Leaf: Any blank leaf between the free endpaper and the first of the printed pages at the beginning of a book, or any blank leaf at the end of a book. The fly leaf of a book which constitutes the free endpaper is often the page which is inscribed. Hence, these two references allow “fly leaf” to be used for both the free endpaper as well as additional blank pages before or after the text pages. Is it drawing too fine a distinction to suggest using “endpaper” only for an extension of the pastedown, and “fly leaf” for all other initial or final blank pages? 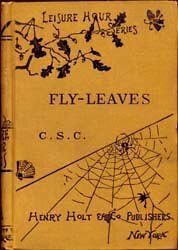 Or has “fly leaf” become so common a term for the free endpaper that no distinction needs to be made? Cats are composed of Matter, Anti-matter, and It Doesn’t Matter. If it’s of any help, my copy of Glaister’s Encyclopedia of the Book under fly leaf it says see: end-papers. 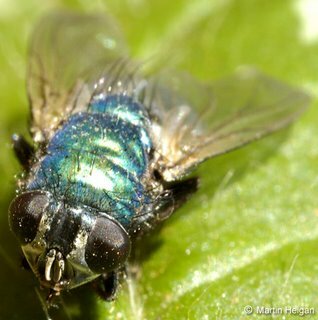 Then under end-papers, it describes the fly-leaf as being the conjugate end of the paste-down.